QuintaDB has made another wonderful improvement to add some style and a personal touch to your Database. Step 1: Go to your Widgets section and click on the Table menu. 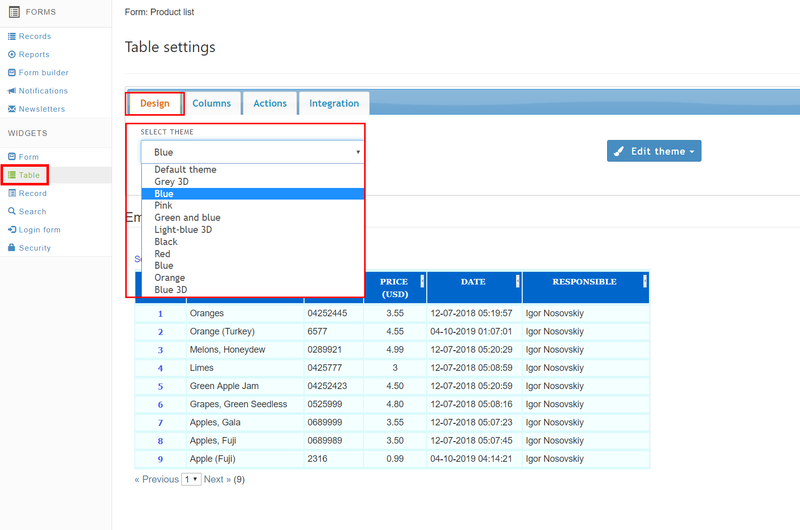 Step 2: Click on the design dropdown that will show you all of the different Templates now available. Step 3: Choose the design that you like and you are done! We hope that you will like this new feature as much as we do!